Jane Stanchich -- Head Chef - Macrobiotic Studies with Michael Rossoff, L.Ac. 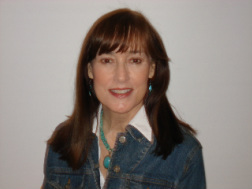 Jane Quincannon Stanchich, Licensed Nutritionist, certified macrobiotic teacher, counselor, author and noted chef, has over 25 years experience as a teacher of macrobiotic health principles. Jane has served on the faculty of the Kushi Institute in Becket, Massachusetts, where she played an important role in creating the comprehensive curriculum for the Kushi Instruction Levels. She received the Aveline Kushi Award for her service as a macrobiotic educator. A resident of Asheville, Jane is known and valued as a leader and organizer in the local macrobiotic community and for promoting healthy life-style programs in the wider community. She is recognized as a dynamic teacher of both cooking and macrobiotic classes. Along with her husband, famed macrobiotic counselor and author, Lino Stanchich, Jane has extensive experience teaching locally, throughout the U.S., internationally, and on the annual Holistic Holiday at Sea cruise. Jane has published numerous articles in many magazines and has produced macrobiotic cooking videos and DVDs.